If you are in the Jacksonville and Ponte Vedra, FL area and have a dental emergency, Blue Water Dental can help. 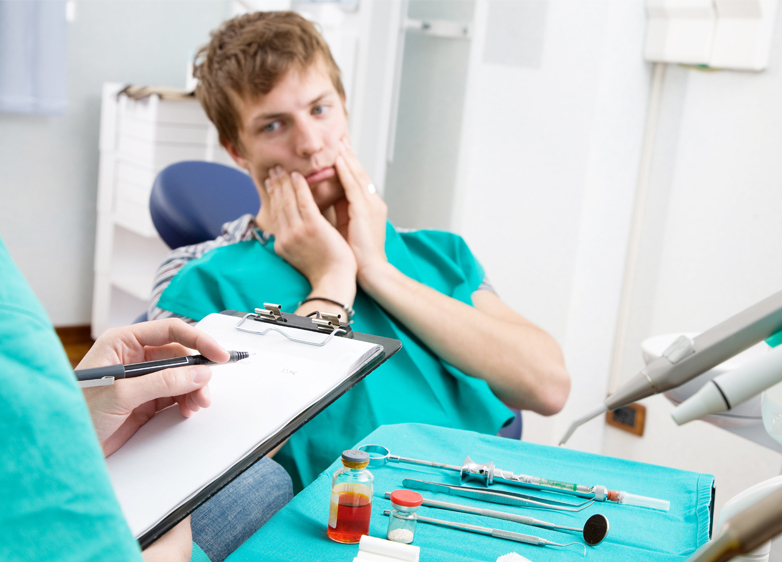 Common oral problems that require immediate action to provide the best results. Call us at 904-395-7771 to ensure we can accommodate your dental emergency. Stay on the line and provide as much information as you can. We are located in Ponte Vedra, FL. We have special hours for a dental emergency call now! For toothaches, rinse with warm water and try to clean out your mouth. Gently use dental floss to remove any food. Do not put any aspirin on your teeth or gum tissues. For a knocked-out permanent tooth, be sure to keep it moist at all times. If possible, try placing the tooth back into your socket. If that’s not possible, place it in between your cheek and gums or in milk. Then, get to your dentist’s office right away! For a cracked tooth, immediately rinse the mouth with warm water to clean the area. Use an ice pack to try and prevent swelling. If you bite your tongue or lip, clean the area gently with water and apply an ice pack to prevent swelling.